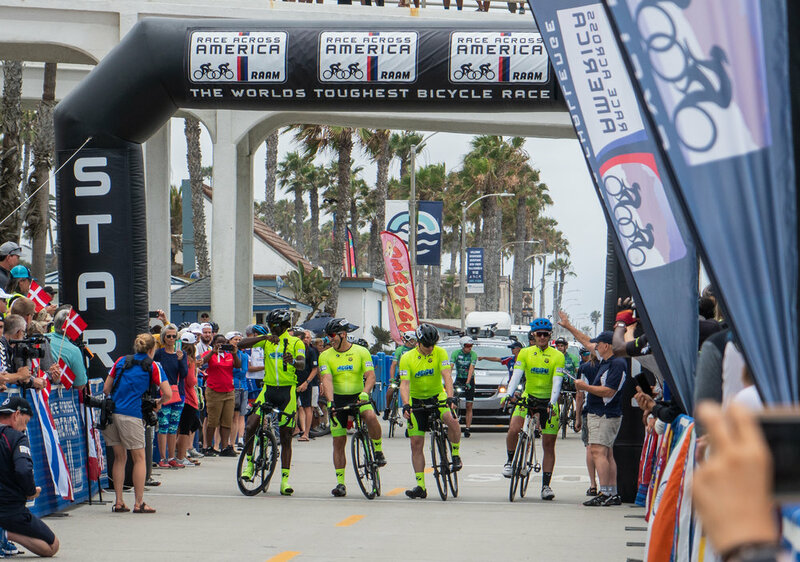 RAAM, spanning from the Pacific to the Atlantic, crossing America’s toughest terrains, happens to be one of the gnarliest ultra-endurance cycling races to date. The race focuses on raising awareness or money for a charity of your choice while absolutely destroying your body racing non-stop from sea to sea. 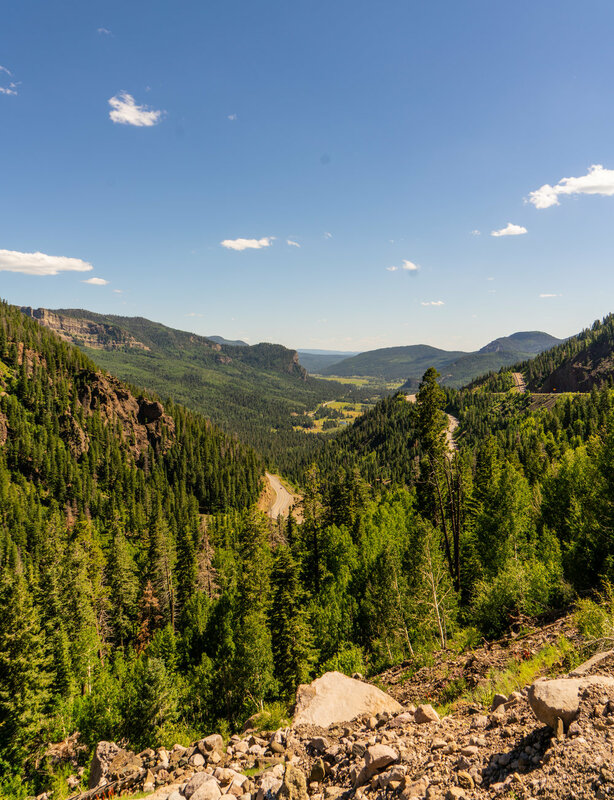 Starting in Oceanside, California and ending in Annapolis, Maryland you cross three massive mountain ranges, scorching hot deserts and the Great Plains. Most people would turn around when they hear racing a bike from California to Maryland, add in the 175,000 feet of climbing and most wouldn’t ever consider it. Anyways, I was lucky enough to participate for my second time as a crew member and wanted to highlight what it’s like to be behind the wheel and behind the scenes supporting these amazing athletes. 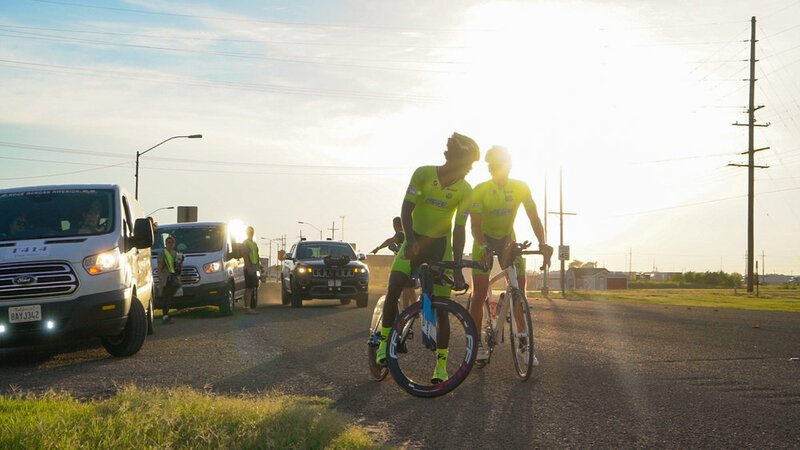 Five days before the race I was scrolling through my Facebook feed killing time before heading out to a photoshoot when I saw Rahsaan Bahati’s post looking for two more crew members to add to their journey racing their bikes across the country. Having participated as a driver for a RAAM team 3 years prior I knew what this entailed and I quickly scrolled past his post hoping not to be persuaded by the craziness. Well, I stopped scrolling and went back to his post, clicked to send him a message and that was all it took to pull me into another sleep deprived week. With only five days notice and prep it really matches my spontaneous lifestyle of being an adventure photographer. I packed my bags, headed down to San Clemente to meet up with the team which besides having known Bahati in the past I knew absolutely none of the members. Sounds awesome right? A week long journey across America, stuffed into a van and an RV with about 20 strangers staying up for more than 18 hours at a time while driving less than an average of 20 mph. June 16th, the start of RAAM, a crazy morning to say the least. Prepping everything in the vans to head to Oceanside for the start, arriving to not only typical beach goers but also spandex wearing athletes about to ride their bikes across the freaking country makes for an interesting mix. We gathered our stuff, had a few pre-race meetings and realized we were missing one of our amber flashers on top of the vans during transit to Oceanside. Having limited time and more to prepare we were lucky my parents could go out on a search for a new set to throw on top of the van that was missing a light. With about an hour and a half to spare before race time they found the lights and I threw them on top. Getting the riders off to the starting line to wait for their start time we all walked down to the pier to watch them take off on a surreal start to the 3,000 mile race. Running down past the start line I captured them starting off on this epic journey, all four riders would start while two would continue on to be the first two riders in rotation for the race. With that being said we had to race up to our vans and go, with one van zipping off to catch the riders already on course, the rest of us headed to the RV and got ready to head to the first shift change point. The riders had an interesting first shift, with Mark, one of the riders, getting stung in the mouth by a bee and Rahsaan getting stung in a place no one wants to get stung in it certainly got some laughs but more importantly a trip to the drug store for some meds to get rid of the inflammation. Also to add in, Mark got a flat tire which forced Rahsaan to continue on his own. After that hectic moment we trucked on to head towards Arizona through the sand-storm filled scorching hot California desert. As we approached Arizona in darkness I realized it was deserving of some astrophotography as we waited for our riders to near. Finding a nice pull out on the side of the road I took out my camera, set it on the ground and propped it on a rock and dialed in my settings, pressed the shutter and captured what you see below. I was amazed with limited equipment what I could capture and I can definitely say these are some of my favorite Milky Way photos I’ve gotten to this day. After waiting long enough I got back in the driver’s seat, turned the car on and sped off to our next shift change point. After arriving and seeing that the Milky Way was still out I captured a few more with our RV and van under the beautiful night sky. Once the riders made it through, we transitioned before going to bed and that would be the end of the first day and I would be off to sleep. Waking up in Arizona we made our way through the desert approaching Flagstaff. Flagstaff is in a spectacular location and although it seemed like we had been driving for quite some time already we still had most of the race to go. The next couple days would consist of crossing the Southeastern corner of Utah, through the South of Colorado getting to go up and over the Colorado Rockies and into the plains of Eastern Colorado. This would be followed by one last big mountain pass until we dropped into the Great Plains. Now, driving through the Great Plains might seem like an easy task. Well, it is, but not with massive storms brewing through Kansas. When I say massive, the teams behind us were hit with lightning storms getting hail up to 2 inches in diameter. Luckily our riders pushed on to get in front of these storms to high-tail it with strong winds all through the Great Plains. After staying at the front of these treacherous storms we had some more brutal weather to endure. Missouri welcomed us with 100% humidity and 95 degrees. From one extreme to the next, a bunch of riders said this was the most grueling out of the weather we encountered. Fast-forward to getting out of Missouri I had the most interesting driving experience during my time behind the wheel. Having to run some errands our van took a different route to go to a few stores to gather supplies we were running out of. While we were driving down the highway I saw some emergency lights ahead so I began to get over and sure enough the entire freeway was shut down. So I followed the rest of the traffic off the freeway and lucky enough the next freeway on-ramp was open, well it was but the freeway wasn’t about a quarter mile down the road. So sure enough I was stopped, completely stopped while I was supposed to be catching up to our riders before crossing the Missouri River which is the border of Missouri and Illinois. So here I am sitting in traffic and one car reverses back to the on-ramp that I got on about a quarter mile behind us. So with no other option I was able to navigate backwards on the freeway at night to the exit behind us and be lucky enough for the officer to let us off. Driving backwards down the on-ramp, getting back on surface streets and continuing towards the bridge we were set back nearly an hour. It was definitely an adventure getting to drive backwards on the freeway, cross some road flares and follow the officers instructions of shutting our lights off so he wouldn’t have to deal with more cars requesting to get off the freeway. But we were heading in the right direction and back on course to meet up with our other vehicles following the riders. After the little freeway excursion we drove towards our RV to return with our supplies and I was off to bed. That day was definitely one for the books and will definitely top all of my driving experiences during this RAAM as well as the past RAAM three years prior. Getting through these next few states would be challenging to say the least. With the toughest climbing, lots rainy weather and following close behind the riders on fog-filled descents, it would be a grueling segment to finish the race. Unfortunately, I wouldn’t get many photos of the riders as I was driving the support car for 23 of the last 24 hours of the race but it was definitely an amazing experience. With one last mountain range to cover, the Appalachians are a deceiving set of mountains. They may not reach the towering heights that the Rockies possess, but they are short and steep climbs making for slow ascents and wicked fast descents. Imagine driving at a speed just shy of 10 miles per hour on the climbs and then hitting speeds nearing 50 miles per hour on the backside. 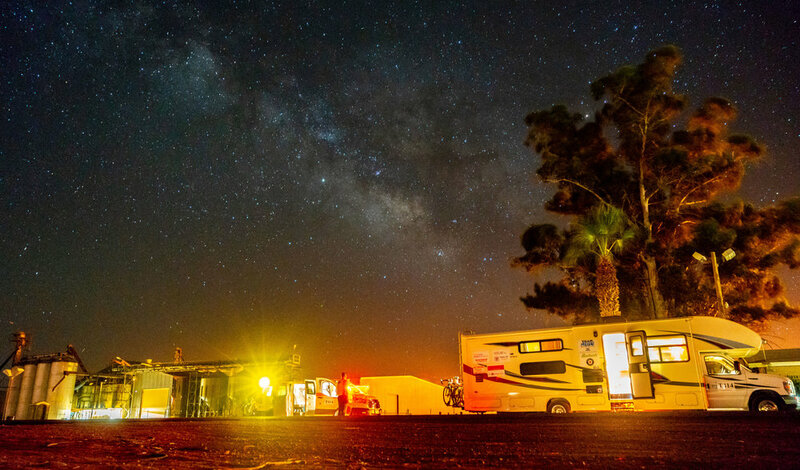 Many of you may not know that during the night-time hours of RAAM you must directly follow the riders for their safety. Well, for their safety of other vehicles that are traveling the roads but also for the riders to be able to see. These foggy roads provided very limited visibility for a majority of these pitch black nights where you could barely see the rider in front of you. Not to mention transition vehicles having to find pull offs in the dark with almost no shoulder the entire way. The East Coast is also littered with turns in comparison to the rest of the route, with confusing freeways, short segments of road before the next turn and no room for error we were all being tested. With a few missed turns it was easy to say the crew and riders were all being tested mentally with having over 2,500 miles behind us. 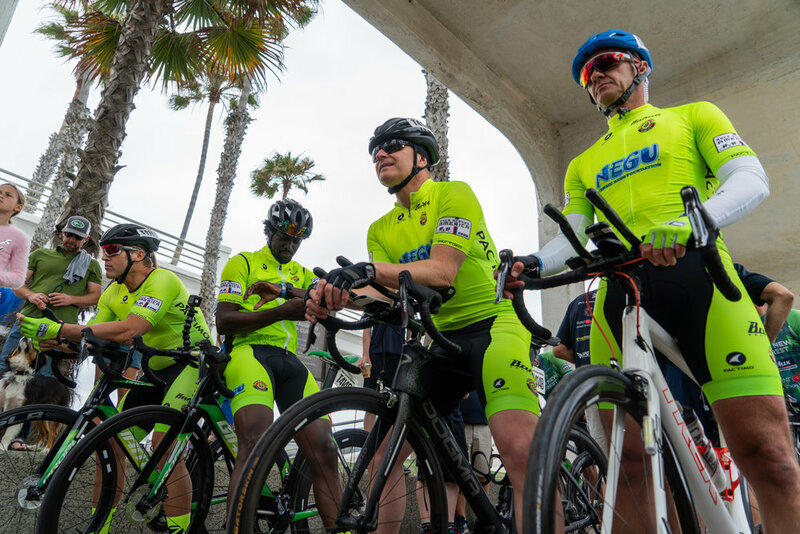 Physical exhaustion comes to mind when thinking of RAAM but what you don’t realize is the mental struggle that every RAAM participant encounters. Between sleeping in the back seat of our Jeep Cherokee follow vehicle and waking up to start navigating while wiping the sleep from your eyes you rely heavily on your team to know where we are so that we don’t fall to making a wrong turn. Of course, it happens, you miss a turn and your riders want to murder you but you just keep trudging on and hope that it would be the last time you would call out a wrong direction. Nearing Annapolis was easily the best part of RAAM. Not the part of finally getting a bed to sleep in or not having to drive at exhausting speeds being hypnotized by their reflective tape on the back of their shoes or even the clicking of your hazard lights for the entire race, but the part of reaching an insane amount of miles all by bike. With only having crew experience I couldn’t imagine how unreal it would be to have completed it in the saddle, the ultimate adrenaline rush for any endurance athlete. With a few bike mechanicals for one of our riders I decided to play some music. Not only to keep myself awake but to put a smile on the faces of my riders. From bumping NWA’s Express Yourself to Technotronic’s Pump up the Jam I found a song for everyone and continued to munch on my chips and drink my coffee to force my eyes to stay open. The last time station in our navigation book is where it hit me. During the race a constant question a navigator might get is, “How many miles do we have left?” Well, when the answer hit below 50 I felt an overwhelming feeling of accomplishment. Having this been my second RAAM it was a familiar feeling but it was one I will always welcome and one of the reasons I commit to doing this crazy race. From reaching Annapolis to giving knuckles at every shift change, RAAM 2018 was an experience to say the least. With not being able to figure out what state you are in when you wake up, to falling asleep with your head resting on the RV dining table, there are more sleep deprived moments than having to study for your dredded college finals. If you question why people want to starve their brain of sleep, drive more than they probably will for the rest of the year or why someone would want to follow directly behind a cyclist pushing for every mile per hour on a descent then you need to just sign up and land yourself on a team. Being only 22 years old and having this be my second RAAM I question why people would hesitate to committing themselves to a life changing experience such as this. Sign up with your email address to receive blog posts on product reviews and adventures!